Have you ever seen a creature that is higher than you seven times? 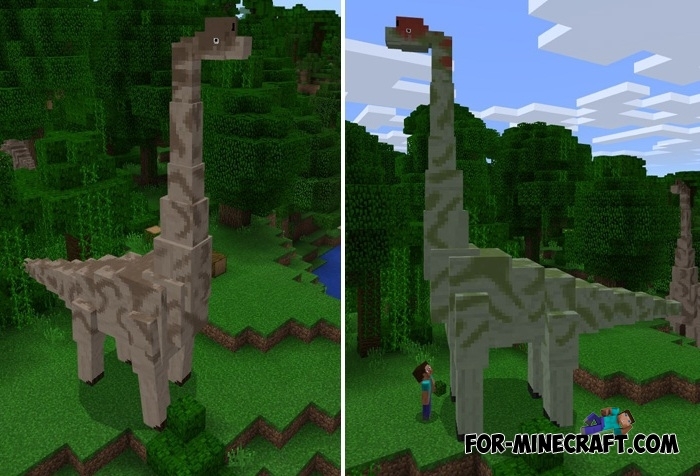 The Brachiosaurus addon adds this dinosaur to Minecraft PE 0.17.0 (or 1.0 as the official release). As you know, Brachiosaurus are harmless and eat the leaves. 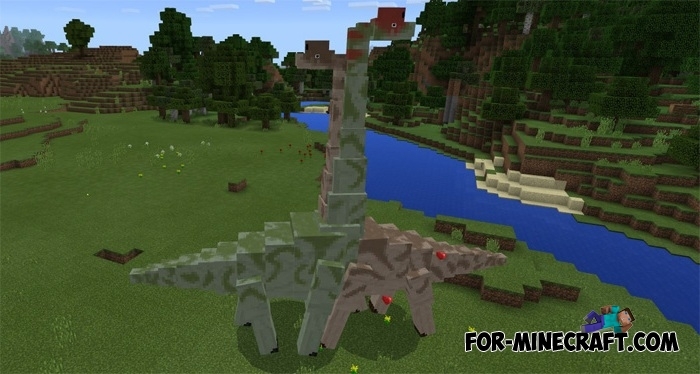 So now this dino will walk around your world and chew the leaves. 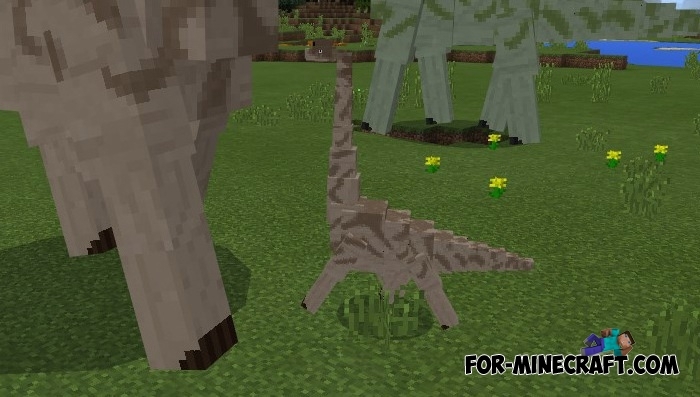 The addon contains 10 different growth stages of a dinosaur, so you can see the Brachiosaurus from baby to the large dino. Also, you have the ability to breed and raise them. In the world you will find dinosaurs two sexes: male (it differs from a female, you will see the red head) and female (brown). Males can be anywhere but the females live in mushroom biomes, so you'll have a good look for them or use a special seed. Of course, you can use spawn eggs to instantly get these dino. How to breed and feed Brachiosaurus? Take the leaves and feed it to accelerating the growth of your dinosaur. For breeding do the same thing, but first you need to feed the male and then feed the female. After a while, the little baby will appear next to the parents. Download the file from the link below and extract it using any file manager. Activate the downloaded files in the world settings.